It’s quick and easy. Choose the Bucketmouth crate or choose one of our other awesome fly plans, and every month you’ll receive a fresh pack of high-quality bass flies. 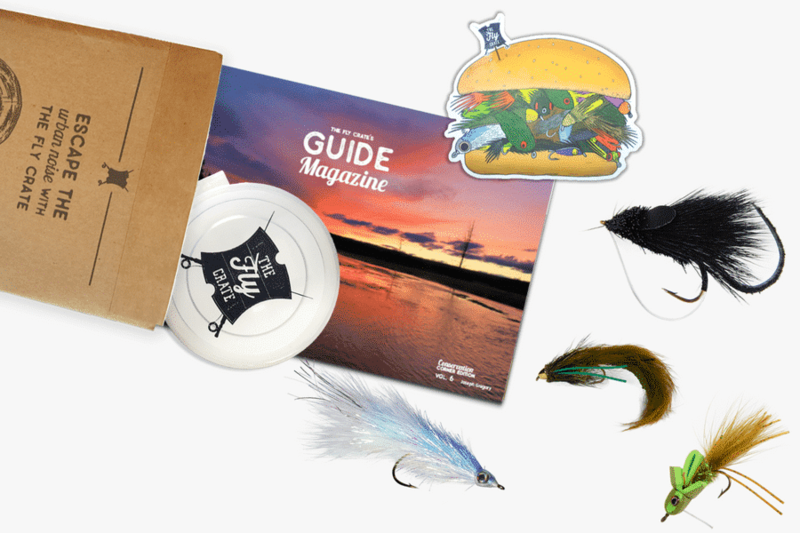 Every month you’ll discover an amazing selection of bass flies in your mail accompanied by our mini-magazine aka, TFC’s Guide Magazine. But the benefits don’t stop there, you’ll receive a 15% discount on our affordable selection of nymphs, dry flies, & streamers found in our online fly shop.